An Indigenous art, design & communications agency. 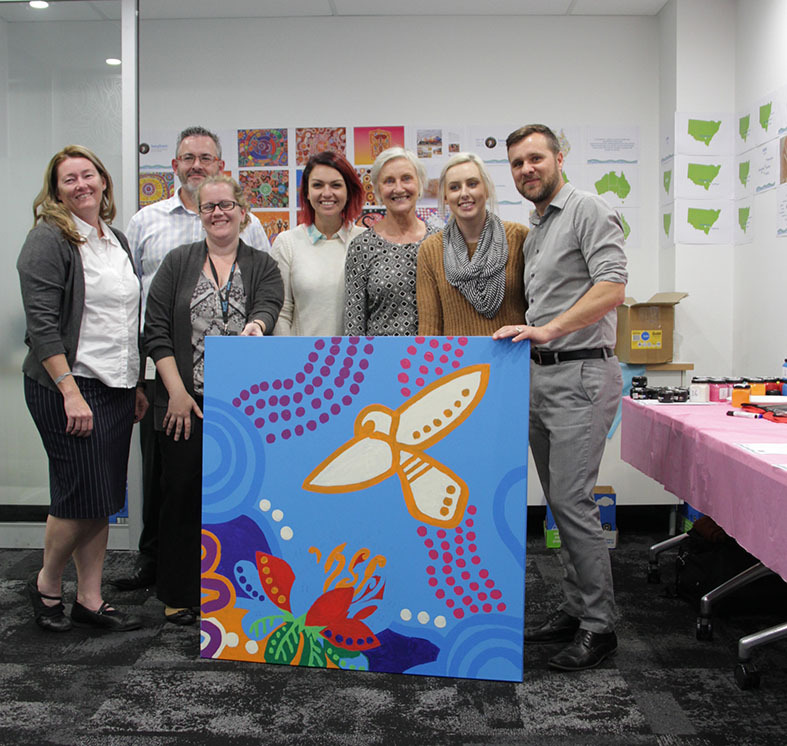 from custom Indigenous artworks symbolising your organisation's Reconciliation Action Plan, to culturally-inspired collateral for your online and physical presences. We help your organisation to speak from the heart through original and distinctive creative outputs including: bespoke artwork, branding & collateral design, and cultural creative workshops. We collaborate with you to capture and develop your organisation’s cultural identity and reflect that in bespoke artwork. The physical artwork is yours to keep and will also be transformed into digital collateral. We work with you to develop a brand identity and physical/digital collateral that reflect the cultural heart of your organisation. Outputs include annual reports, stationery and digital content for your website or social media. 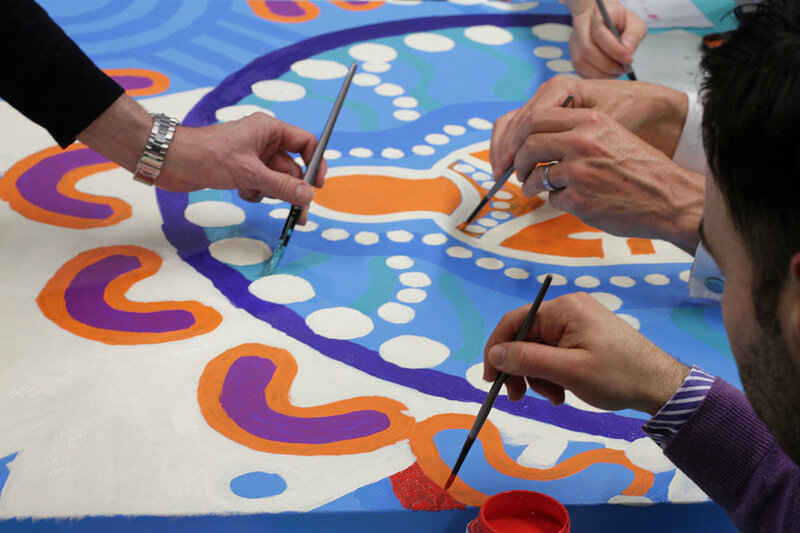 We engage your organisation in creative cultural workshops to bring your people together, build strong relationships, and create shared understanding. 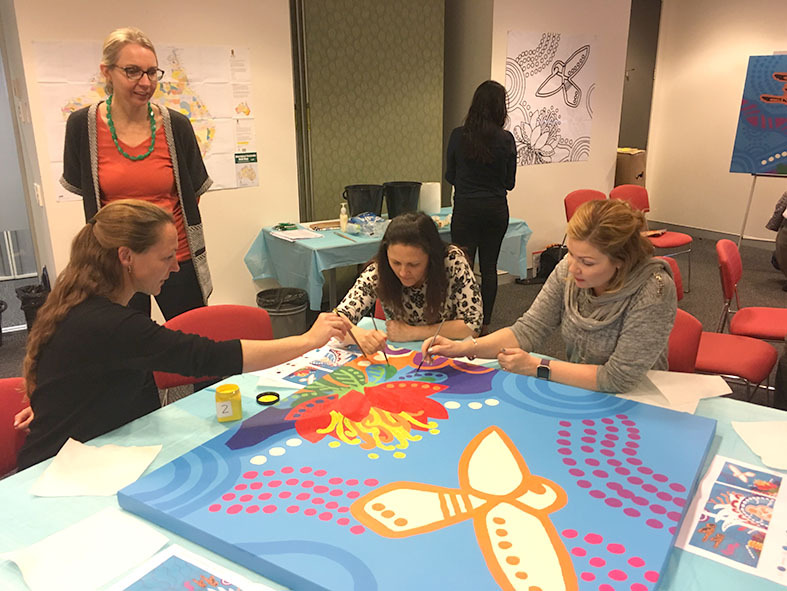 Participants are lead through a cultural process to collaboratively paint a six panel artwork that is created and owned by your organisation. 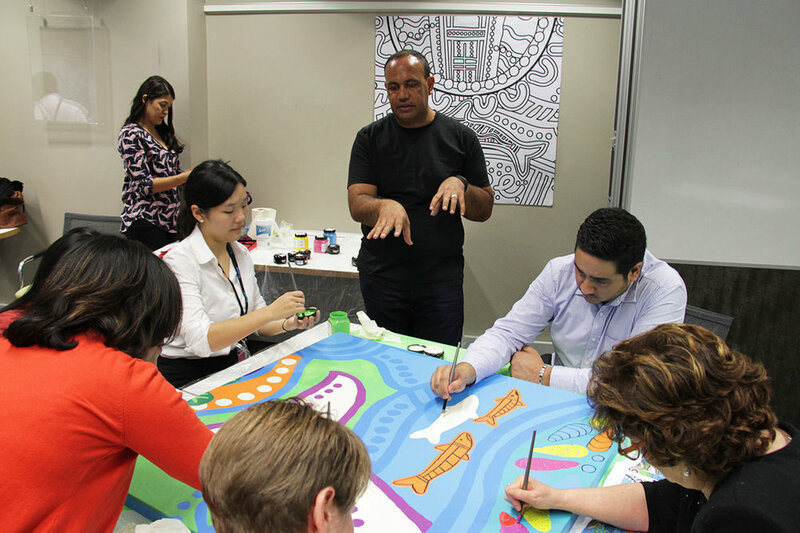 Your talent and facilitation style made these workshops something for our people to remember. 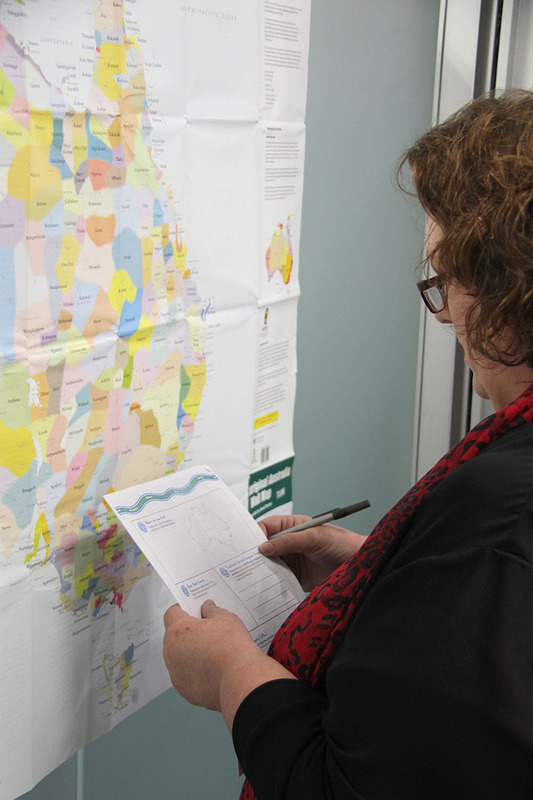 I think our people gained a valuable understanding of our Aboriginal and Torres Strait Islander heritage and how to keep it relevant in the workplace. 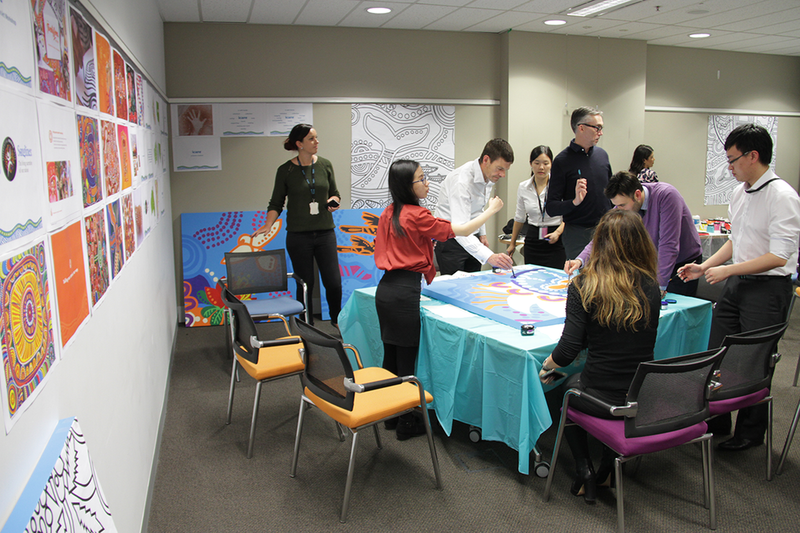 Our people networked and connected with each other at a personal level and they told the story of icare through paint. We’ve kicked a number of our culture goals through these workshops, so thanks so much. — Gabrielle Spalding, Organisational Culture Manager, People Engagement, iCare.